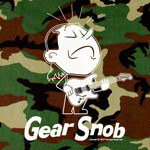 Loser Sportswear is the home of the Gear Snob t-shirt! 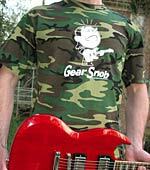 At Loser Sportswear we offer apparel for musicians made by musicians! 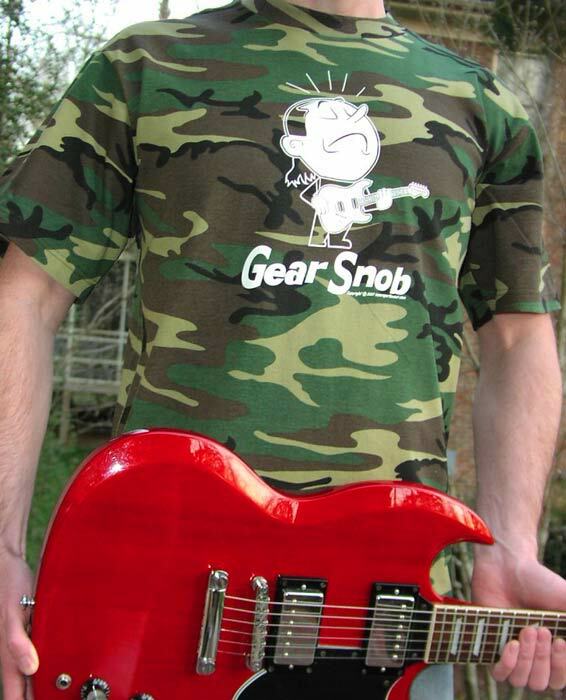 We are proud to offer our first design the "Gear Snob" t-shirt. You all know him and love him. Maybe you are him. 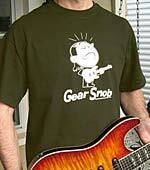 This is the musician who has had it, played it, and now has a t-shirt about it. 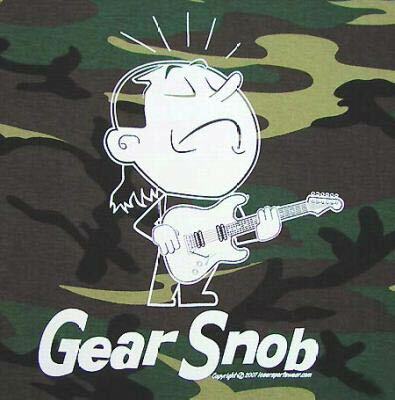 Please click on the images below for extra views of the "Gear Snob" t-shirts. 39stripes.com has performed in front of thousands and has shared concert stages with Christian artists such as Jars of Clay, The Newsboys, Out of the Gray, Rachael Lampa, Margaret Becker, Carman, Geoff Moore, and many others. Splawn Amps run by the genius amp builder and Grand Puba of tone Scott Splawn. dinosaurrockguitar.com Are you a dinosaur? From the days when rock guitar ruled the earth. Rich Ward America's Metal Guitarist. Someone has to do all this pioneering stuff. * Shipping price good for continental U.S.A. only. All others pay actual shipping. More designs in the works! 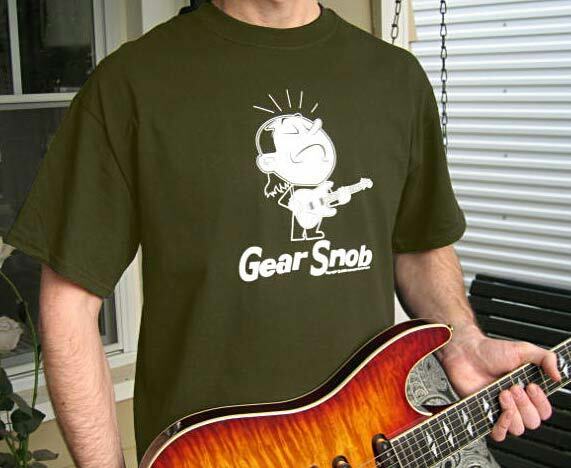 Like the Gear Snob t-shirt? We have two more designs that will be launched soon! We are also working on five additional designs.